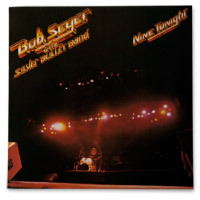 In preparation for Bob Seger & The Silver Bullet Band’s return to the road this Fall for a second leg to their 2011 North American Tour, Capitol/EMI will release Seger’s multi-platinum Live Bullet and Nine Tonight concert albums digitally remastered with exclusive bonus tracks on September 13. Seger’s new tour dates will extend from coast to coast, with stops expected in New York, Los Angeles, San Francisco, Philadelphia, Pittsburgh, Orlando, Dallas, Denver, Columbus, Las Vegas, Vancouver and more. 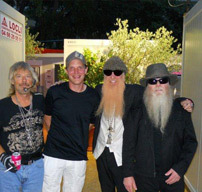 The first leg of Seger’s 2011 Tour drew rave reviews from critics and played to more than 350,000 fans. 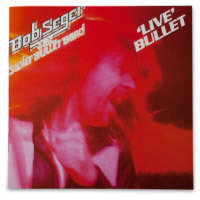 Originally released in 1976, Live Bullet was recorded at Cobo Hall in Bob Seger’s hometown of Detroit, Michigan. The album has sold over five million copies and features 14 classics, including “Turn The Page,” “Travelin’ Man/Beautiful Loser,” “Katmandu,” plus a live bonus track exclusive to this newly remastered edition, a rare recording of “I Feel Like Breaking Up Somebody’s Home” from Seger’s sold out first stadium show at the Pontiac Silverdome. Both titles will be released with restored original artwork and updated packaging and offered in a special CD/T-Shirt Box combination at select retailers. Bob Seger & The Silver Bullet Band’s legendary live performances have led to record sales in excess of 51 million which includes 11 platinum and seven multi-platinum RIAA-certified album sales awards. Seger holds the distinction for the #1 Catalog Album of the Decade (2000-2010) for his Greatest Hits, which has sold more than nine million copies in the U.S. to date, posting an unbroken 16-year streak on Billboard’s Top 200 Albums and Catalog Albums charts. 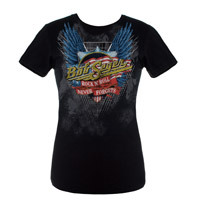 Lots of great items in the Official Bob Seger Store including this NEW 2011 Night Moves Tee and NEW Rock n’ Roll Never Forgets Woman’s Tee. Check out the full range of apparel, hats, books, music and more!